OxygenOS Open Beta 16 for Oneplus 3 and OxygenOS Open Beta 7 for OnePlus 3T is now released. And You can Sideload OxygenOS Open Beta 16/7 On OnePlus 3/3T and update your phone with this new beta update. As per the oneplus team, the new update includes optimizations and bug fixes with a new way to report any new crashes and bugs you find. 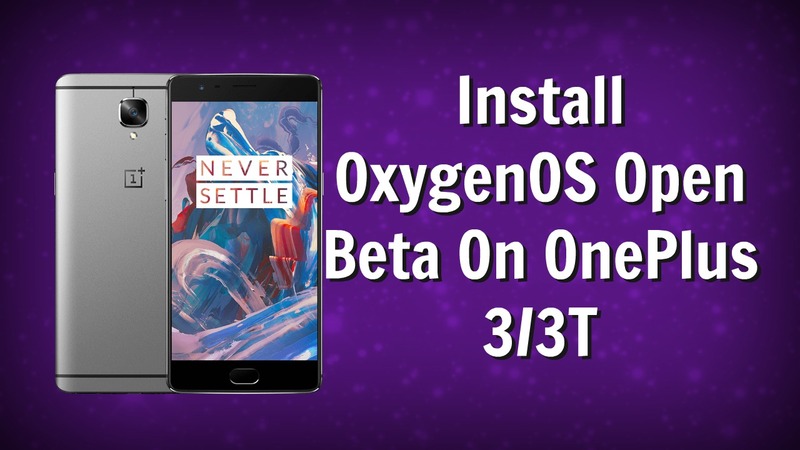 If you are the Oneplus 3 or Oneplus 3T user and want to try this New OxygenOS Open Beta on your phone here is the detailed guide which you can follow on your phone and update the same with this new update. To Sideload this OxygenOS Open Beta on your phone all you need a Phone with Stock Recovery, ADB files and OxygenOS Open Beta Full ROM zip file. You have to sideload this ROM file on your with the help of adb sideload command. Below is the full tutorial to Download and Install OxygenOS Open Beta 16 for OnePlus 3 and Open Beta 7 for OnePlus 3T . Read all steps very carefully and follow all the steps one by one on your phone. 1. First Enable ‘USB debugging’ option from your phone setting > developer option. To enable Developer Options, go to About phone and tap the Build Number 7 times. 2. Now installs the ADB and Fastboot drivers on your windows PC here. 3. Now download the OxygenOS Open Beta files for your phone from the above mention link and save it on your desktop. 4. Now it’s time to boot your phone into recovery mode. To do this, shut down your device and turn it back on while holding the power and volume down buttons simultaneously. 5. Once you are in the recovery mode of your phone. Choose “Install from USB” option in the recovery screen, tap OK to confirm. A screen with “You are in sideload mode” will be displayed. 6. Now connect your phone to the PC with USB cable and Open the ADB folder that you created while installing the ADB drivers. 8. On ADB folder press shift+right click and click on open command here. 11. Now the flashing process will start on your phone and this will take some time. 12. Once completed, you will see the Reboot option on your phone. Select Reboot and enjoy the new OxygenOS Open Beta on your phone. So you have successfully installed the OxygenOS Open Beta 16 for OnePlus 3 and Open Beta 7 for OnePlus 3T. Let us know if you have any questions by comment below.